For Meghan Markle, it's been a very busy year and a half. Not least has the new Duchess of Sussex planned and enjoyed her very own royal wedding to Prince Harry, she’s also taken on a brand new job as a royal. And alongside all of that, she’s been meeting and getting to know the members of her new, royal family. And two of the most important people included in that group is her new niece and nephew, Prince George and Princess Charlotte, who she is now said to be very close to. It’s reported that Meghan met Catherine and William’s children early on in her relationship with Harry – and soon after she met the Duke and Duchess themselves at their home in Kensington Palace. But how exactly did she win over the now five and three year olds all those months ago? According to ET, Auntie Meghan may have cooked her way into their hearts, bringing round delicious treats for the young royals at Apartment 1A. And we’re sure that went down very well with George and Charlotte! It’s well known that Meghan is a huge fan of cooking, in the past regularly posting about food on her now-defunct lifestyle blog, The Tig. It’s thought that the Duchess of Sussex is very close with the Cambridge family – which now includes little Prince Louis, who was born in April this year. 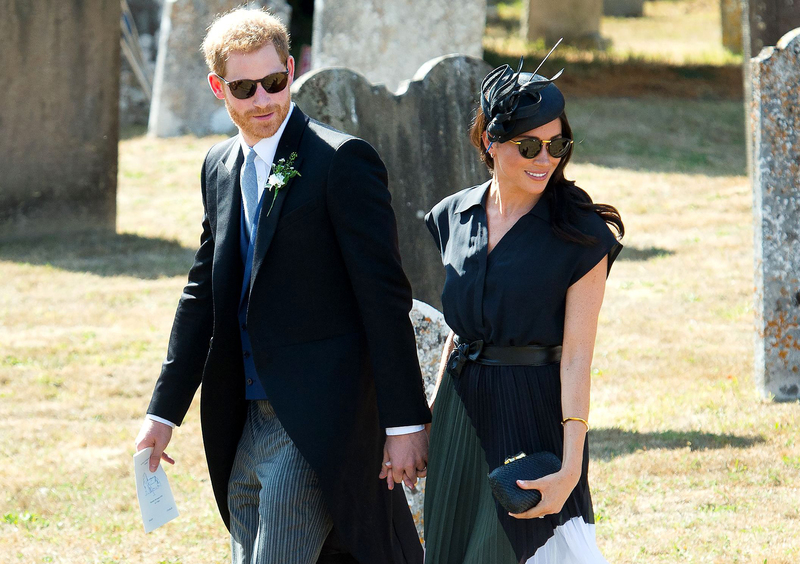 Given that she and Harry only live just a short stroll away from their Kensington Palace home, in Nottingham Cottage, it’s also believed that the two couples and the children get to spend a lot of quality time together. And if the pictures of them out and about are anything to go by, it looks as though Meghan also enjoys a close bond with her new parents-in-law, Prince Charles and Camilla. The three always appear to enjoy a giggle when on royal engagements together, and it’s said that Harry and Meghan even spent a week of their summer holidays with Charles and Camilla at the Castle of Mey in Scotland. The Duke and Duchess of Sussex will return to royal duties after a month off very soon, when they attend a gala performance of the hit West End musical Hamilton on Wednesday 29th August. The event is being held in support of Sentebale, Prince Harry’s own charity.